Part 2 of the series about Nintendo's board games featured four Disney themed games from the mid 1960s. Today we will continue the Nintendo board game retrospective with five more Disney board games from that same period (ca 1964-1966). We already saw some Duck based games before, and here is another one. 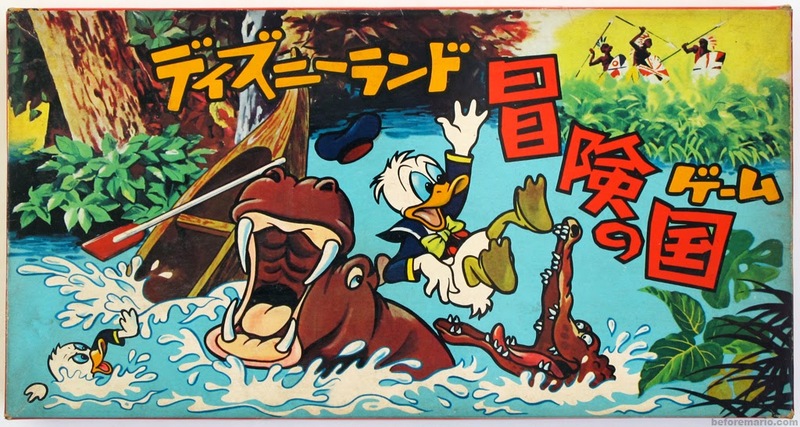 Well, at least Donald Duck is presented on the box front; his popularity used to attract interest. The game is called Disneyland Adventureland Game (ディズニーランド冒険の国ゲーム). I just performed a small experiment. For some time, I had been wondering about the compatibility between Nintendo's N&B Block bricks and - its source of inspiration - the original LEGO bricks. In fact, the experiment is so simple that I don't understand why I had not tried it before. Let's first take a closer look at the respective rectangular bricks, side by side. They have identical dimensions and are overall very similar, except for the names on the top of the studs. When we flip them over, we see more differences. 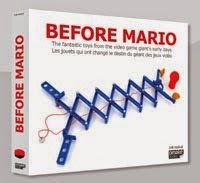 When Nintendo started expanding their product line from playing cards to other toys and games, the first format they went after were board games. In the first part of the board game story, posted here almost two years ago, we already showed some Nintendo board games from the second half of the 1960s, based on popular Japanese manga and anime characters like UltraQ and Obake no Q-tarō. Over the coming weeks months, I plan to run a series of posts focussing on Nintendo's board games, as there is a lot still to show and tell. The first board games that Nintendo released were all licensed games based on figures from the Walt Disney studios. These were very popular at the time, and after securing a deal to feature Disney characters on Nintendo's playing cards, it was a natural extension to use these also for other games. Some of the Nintendo games that we will show are simple localisations of licensed games, meaning the original version is translated but otherwise left unchanged (like the 101 Dalmatians Game shown below), while others are original creations by the Nintendo team, using Disney figures. 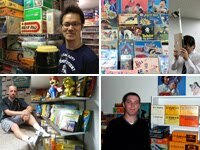 All of the Nintendo board games from this period do not included any year of release on them, so it is quite difficult to date them. Based on the characters featured, the style of packaging and the logos used, I would say the games are all released by Nintendo roughly between 1963 and 1965. Although they all feature licensed figures, most of these are original game designs, as far as I can tell (except for Wonderful World of Color Game). 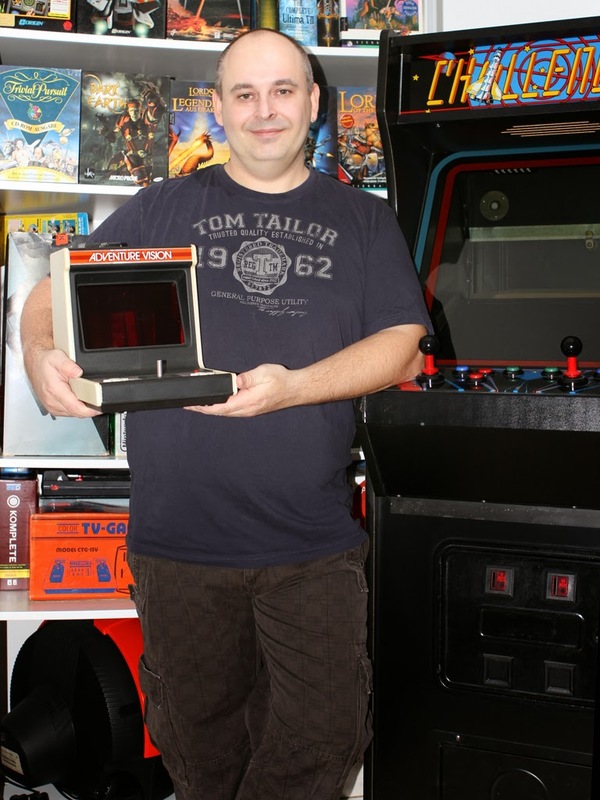 A few days ago, we reported here about a new Game & Watch book, that was just released. Today we meet one of the two authors of that book, who happens to be the proud owner of an impressive video game collection. He shows us around his collection and tells about this book project. David: "Hi! I am David Gschmeidler. I was born in Vienna, Austria in 1973. After training at the Industrial College in Vienna, I worked for eight years in electronics at General Motors Austria. During this time, I began to learn about recording studios and have since worked for many years as a music producer and mastering engineer. In the meantime, I also learned a lot about photography and web design." 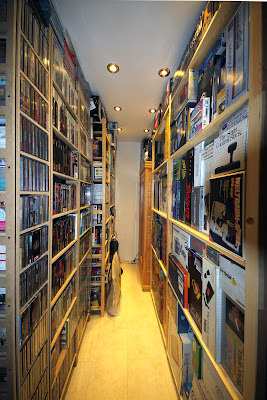 "I collect video games and video consoles from all brands and also some of the interesting home computer models."